Many employees use the term wrongful termination when they are fired, but when is wrongful termination actually illegal? Many situations that people might call “wrongful termination” are actually perfectly legal and allowed by employers, but employees feel otherwise. However, there are also a lot of reasons why an employer can’t fire you- those are actionable “wrongful terminations,” which means you can hire a law firm like Gold Star Law and sue your employer for your lost wages from losing your job. 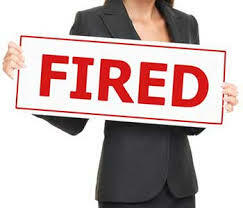 Some of the reasons a firing might be an illegal “wrongful termination” are discrimination, retaliation, and breach of contract. To find out if your firing is a “wrongful termination” under Federal or Michigan law, a Michigan employment law attorney who understands employment law can help. For example, if your employer simply yells at you and fires you in anger for reasons that are not based on discrimination or any other illegal motive, there is nothing illegal about that alone. However, if it can be proven that your employer yelled at and fired you because of a protected class, then it becomes wrongful termination under the law. Some protected classes include your age, race, gender, national origin, disability, religion, height, and weight, among other things. If you were fired and think the reason may be discrimination, retaliation, or something else that would make it an illegal wrongful termination, and you need the help of a Michigan employment law firm that understands wrongful termination and employment law in general, contact Gold Star Law.